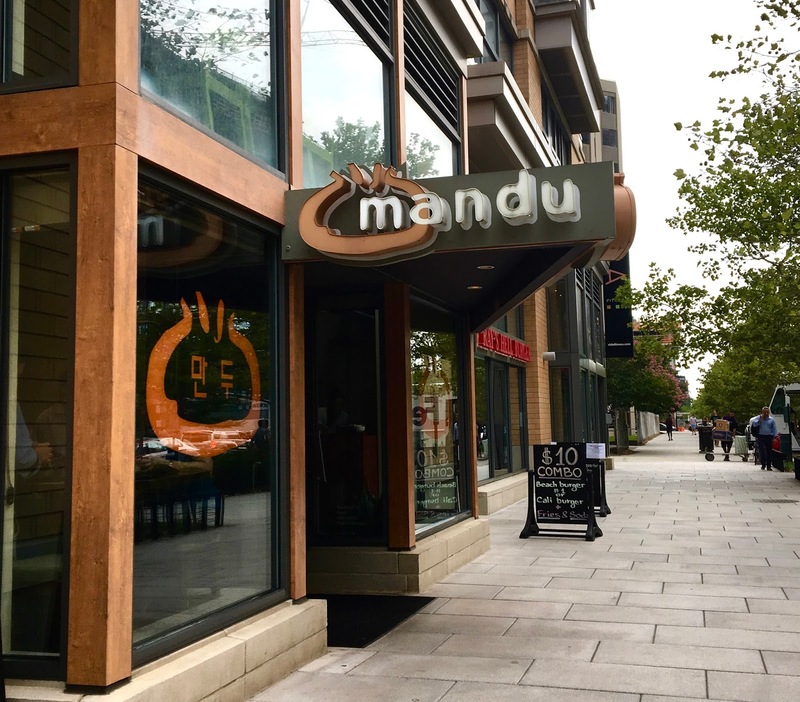 The menu indicates what can be made gluten-free or vegetarian. Dairy is pretty scarce in Korean food, so the waiter said it would be pretty easy to work around that. The gluten-free options are a bit limited, but there's enough there to have at least a few different options. 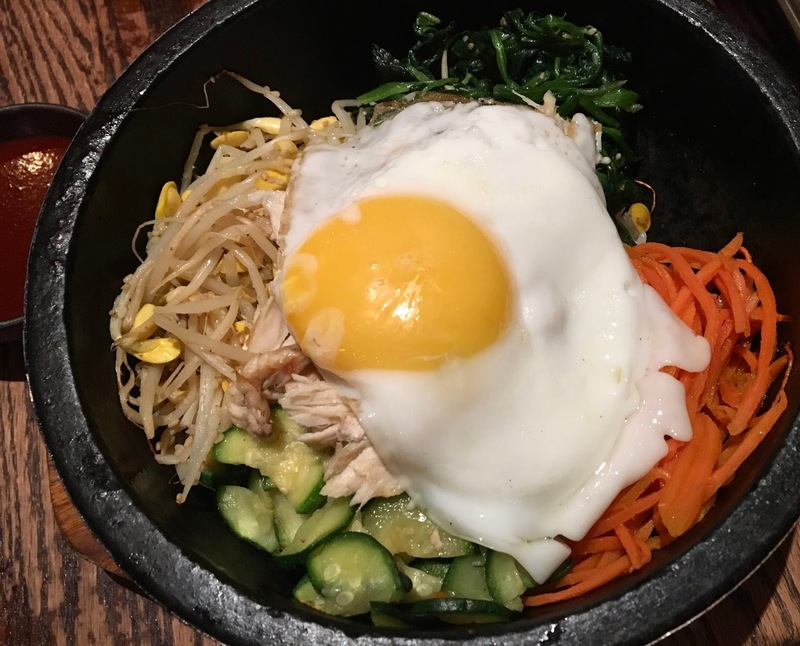 Since it was my first visit, I decided to go for the dolsot bibim bap, a popular Korean rice dish that was served in a hot stone bowl. My waiter instructed me to let the food sizzle for a few minutes and stir the ingredients periodically to give them a crunchy flavor from the stone bowl. Besides rice, the dish also features assorted vegetables, a fried egg, and I decided to swap chicken for beef. To make it gluten-free, mushrooms were the only items omitted. After some sitting and stirring, my dish was far less pretty but had an multilayered flavor due to the commingling flavors. 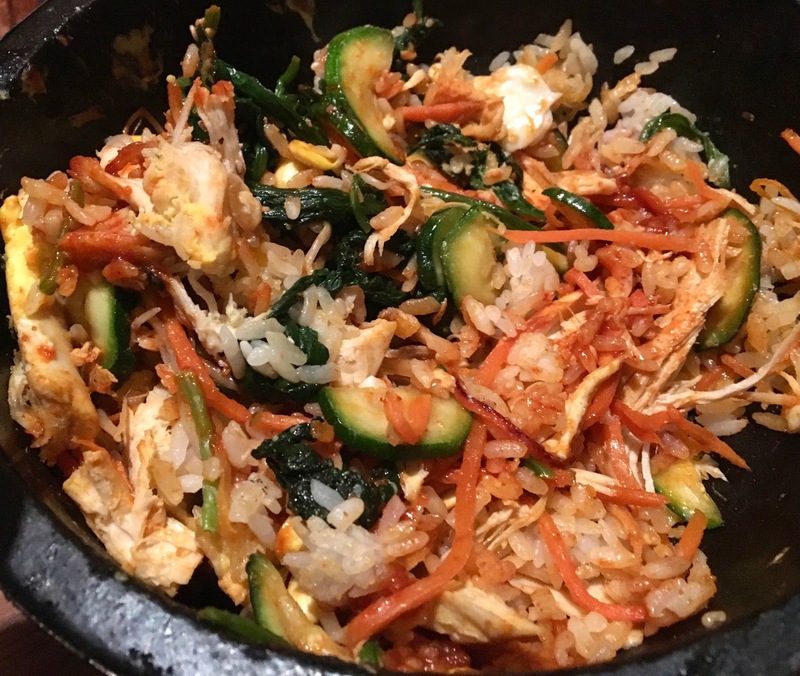 I loved the crunchiness of the rice and how I could add as much gochujang as I wanted to add a sweet and savory flavor infusion. 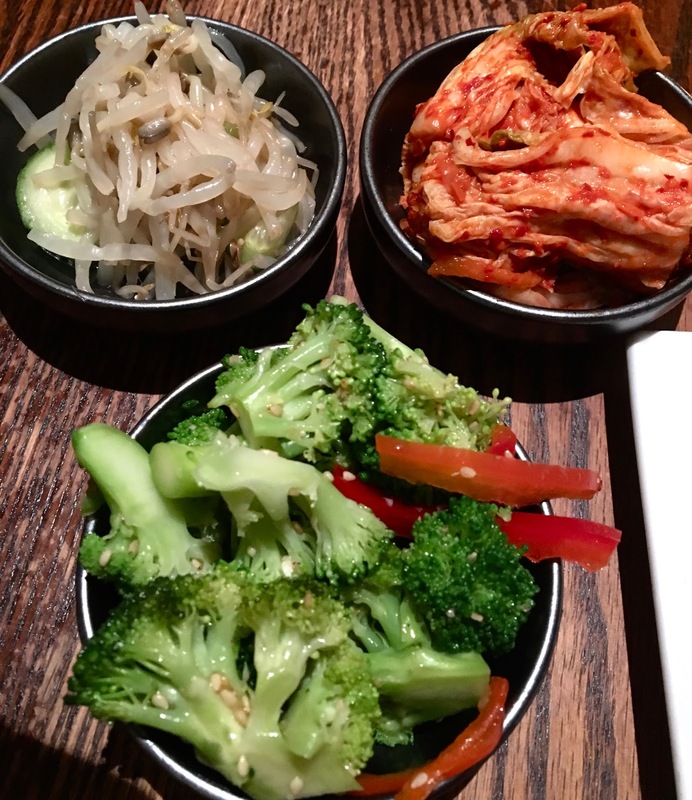 The vegetables were good and the chicken was tender- but both seemed to be on the bland side without the help of the gochujang. The dish was filling and I finished every bite- but left me wanting to try other versions because I don't have a baseline expectation developed for the dish. As a side, a sampler of sprouts, kimchi, and garlicky broccoli and red pepper. Of the three, I only finished the broccoli, as it was flavorful and cooked nicely between raw and mushy. The sprouts were rather flavorless and the kimchi turned me off due to taste and texture- but that may be more so a reflection on me (because I have had limited experience with the dish) rather than Mandu. I liked Mandu, but I have to admit that I'm in no rush to go back. It was good, but not overly impressive. That being said, it's nice that they had many gluten-free options. I will say that the waiter that I had that night was excellent and was gluten-aware and assured me that he would double check everything to make sure it was safe.